Time and over again while interacting with the youth from Kashmir what comes forth straight and striking is the pain and anguish of the youth, their frustration, their realization about the brutality of the system in which they live in Kashmir. Youth from Kashmir coming to different parts of India for various meetings and interactions generally display a high level of understanding of the issues involved and are vocal about the restlessness over their present and future. What have we done to be labeled as ‘terrorists, is one of the questions on their mind and lips. Why we in Kashmir have to face the torture from different quarters, including the one from Indian army. The restlessness is so much on display that one can gauge the depth of their feeling about the role of armed players, the militants and the Indian army both in different measures. What are the causes of the frustration of the youth and others from Kashmir and what is the way out? Recently, (May 2012), the recommendations of the group of interlocutors, Dileep Padgaonkar, Radha Kumar and M.M.Ansari have been made public. This team has given its recommendations about which the Government is non committal at the moment, while the BJP has rejected them on the ground that it is a dilution of the accession of Kashmir to India. The separatists find it insufficient saying that there is no political settlement of the issue. Essentially while the team has rejected the return to pre 1953 position, it has also made significant recommendations which are in the direction of restoring the autonomy of Kashmir. Being close to the Pre 1953 position, the team suggests that the parliament will not make any law for Kashmir unless it relates to the security, internal and external of the state. Significantly it gives the status of ‘special’ instead of ‘temporary’ to the article 370, which is the bone of contention for the ultra nationalists like the BJP. Very correctly the team says that the proportion of officers in the state should gradually be changed to increase the weightage of the local officers. It also talks of creating regional councils with financial powers, and measures to promote cross Line of Control (LoC) cooperation while talking of resuming dialogue with Huriyat and Pakistan both. It seems the team has done quite a bit of its homework and while addressing the issue of discontent in J&K, they have also tried to register the realities which have emerged during last six decades. It seems to be a major effort around which debates for initiative needed to restore the calm in the state can be seriously discussed. Undoubtedly the people of Kashmir have suffered a severe violation of their human rights all through. 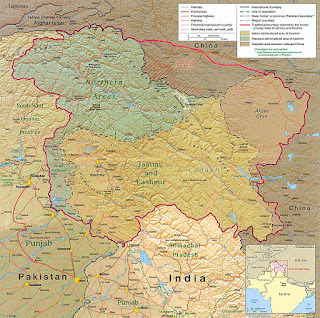 The treaty of accession giving full autonomy to the J&K had come under heavy strain from the communal forces in India. Right from beginning the right wing elements, the future founder of Bhartiya Jan Sangh, the previous reincarnation of BJP, Shyama Prasad Mukerjee supported by the communal groups had initiated the move to merge it fully with India, doing away with the provisions of autonomy, which were part of the agreement between India and the Kashmir. The pressure of communal elements and the sentiments of emerging Indian Nationalism forced the Indian government to keep diluting the clauses of autonomy of Kashmir over a period of time. The culmination of this was downgrading the status of the Chief of the state, from Prime Minister to Chief Minister. In the face of the communal elements showing their sharp teeth in India, in the form of murder of Mahatma Gandhi and intimidation of minorities, Sheikh Abdullah wanted to explore other options for Kashmir and he was imprisoned for 17 long years. This alienated large sections of Kashmiris, youth in particular. Equally serious was the threat posed by interference from Pakistan. Pakistan’s support to the disgruntled youth and support to the militancy in the initial phases added to the problem in no mean way. Pakistan was duly supported by the imperialist designs of United States which wanted to impose its hegemony in the region. Kashmir being a geographically strategic place US did its’ all to worsen the possibility of a peaceful solution of the issue. The situation was to worsen further in the decade of 1980s, when the Al Qaeda elements and clones, started infiltrating in to Kashmir. They are the ones’ who communalized the regional problem. The issue of Kshmiriyat was converted intoJihad against Kafirs by the US trained Al Qaeda. Both the words, Jihad and Kafir, were distorted by the US supported Madrassas where these terrorists were trained. The increased militancy was matched by the suppression of democratic norms by and by and the state government was reduced to a satellite of the central government. The parallel process of Indian army being sent in large numbers to curb the militancy was to become the main problem in times to come. Military was to add to the problem as it dug its feet in the state, and the force which is meant to fight the external enemy was ruling the roost in civilian areas. The torture of the innocent Muslim youth knew no bounds. The military methods ran rampage in the state with the phenomenon of widows, half widows coming to the fore. Every youth was a suspect, ruining the lives and careers’ of many of them was passe. Somewhere along the line the communalization of the issue also led to Kashmiri Pundits feeling insecure and encouraged by Jagmohan, the then Governor of the state, left the valley in lakhs. Not to undermine the fact that a large number of Muslims also left the valley to escape the intimidation from guns of different forces. Today the major obstacle to the normal growth of the state is the conversion of the civilian areas in to military barracks, army breathing down the necks of civilians all over. In India the communal forces made this as another Hindu-Muslim issue. An issue with purely regional ethnic character came to be looked at through the prism of religion, adding to the misery of the Muslim population. Today what we need utmost is the proactive peace in the region and this peace can only begin with the internal withdrawal of military, supplemented by a process of dialogue with dissidents and Pakistan. 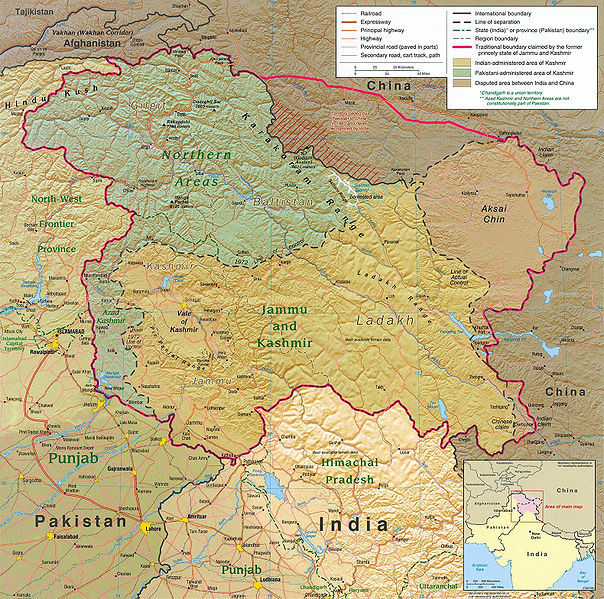 Kashmir has been looked at as a real-estate issue by India and Pakistan both. The people of Kashmir need to be given primacy while thinking of solution to the vexed issue affecting the peace all over. What we need to keep uppermost in the mind while discussing the recommendations of interlocutors is that will these recommendations reduce the anguish of Kashmiri people in general and Kashmiri youth in particular? Nearly two generations of Kashmiri youth have suffered at the hands of military and militants. US-Pakistan nexus have also been the major players in spoiling the broth. A healthy debate around this report can be a good starting point to restore peace in the region.